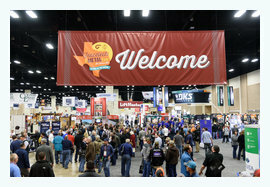 It was a busy week in San Antonio, Feb. 1-5, 2017, as more than 4,300 AFA members and industry professionals pulled up their bootstraps and descended upon the Henry B. Gonzalez Convention Center for FENCETECH & METALfab 2017. This was the first time that AFA and NOMMA co-located their conferences, and by all accounts it was a rousing success. Vinyl fence is becoming more popular across the country. The old image of vinyl fence — smooth white plastic – has been left in the rearview mirror. Fence makers have made a big leap forward, with a wide range of rich colors and clever manufacturing techniques that reproduce the colors and textures of wood. The result is a vast array of products that deliver the low-maintenance performance of vinyl with the aesthetic appeal of more traditional materials. Read this story and much more in the January/February issue of Fencepost magazine. 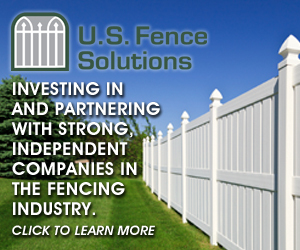 Are you 35 years or younger in the fence industry? We want YOU to be part of the newly formed Young Fence Professionals Network. 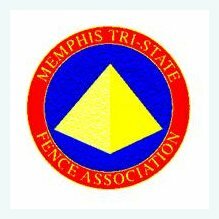 For more information and to get involved please contact Caroline Scott at caroline@americanfenceassociation.com. 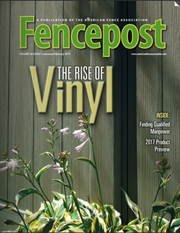 THE MAY/JUNE ISSUE OF FENCEPOST NOW OPEN FOR SALES! 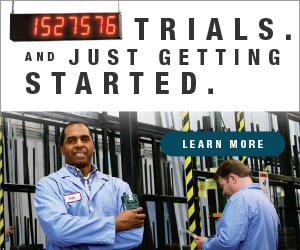 Don't miss your chance to target more than 10,600 industry professionals in print and online inside the May/June issue of our flagship magazine, available in both print and interactive digital version! The issue will cover technology trends and health and wellness initiatives, plus much more. 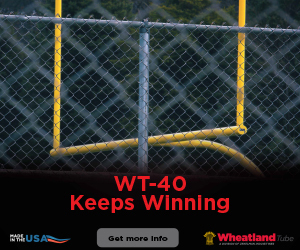 Participating is your perfect opportunity to gain exposure to manufacturers, contractors and distributors in the fence, deck and railing industries, but space is limited! The deadline to include your ad space is April 13, 2017. Fencepost magazine is distributed six times per year to approximately 10,000 industry professionals and comes in both print and digital versions. 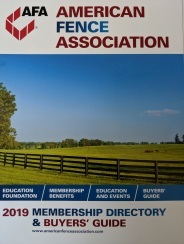 Submit your contact information to AFA to ensure you don't miss another issue! It was a difficult task narrowing down the applications to only seven as we received a record number of submissions this year. We would like to thank the review subcommittee for their hard work. Congratulations to our winners! Thank you to everyone who bought a ticket at FENCETECH 2017 for the Truckload of Wood raffle. The Foundation was able to raise $30,000 with this fundraiser and this gets them that much closer to the $250K goal. Congratulations to our winner who lives in Illinois. Regional conferences are being planned for May, July and September at different locations in the U.S. These will be 2.5 days for networking, education and fun! More information will be provided soon. Watch your email and Across the Fence for more details. The Southern California Chapter presents their semi-annual meeting and Table Top Show in Las Vegas, Nevada. 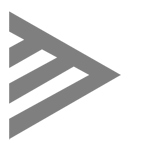 The event will start on Friday, March 17th and conclude on Sunday, March 19th. Register by March 1st for complimentary access to the Table Top show for members. There will be $100 in "Paris Poker Chips" awarded every hour at the table top show! For more information and to RSVP to the event please contact JT Lawson at JTLawson@CIFabrics.com. Jackpot 2017 is almost here! 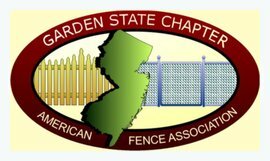 Join the Garden State Chapter of the AFA for education, networking, and fun at the premier fence, deck, and railing show on the East Coast. Registration, education, and a networking event will take place on March 3rd and on March 4th there will be additional education seminars and the Trade Show. Register now at www.gsafa.org to receive early bird pricing. For more information or questions regarding the event please contact Chapter President, Terry Fielden, at jackpot@gsafa.org. Save the date for the Colorado Chapter’s April chapter meeting at Famous Dave’s in Colorado Springs. The annual Colorado Chapter Golf Tournament is also scheduled for June 17 at the Omni in Broomfield. For more information please email info@coloradofenceassociation.com. By Scott Applegate, COO, CapitalPlus Financial As the old year ends and a new one begins, it is understandable to want to look forward to the future of your small business. 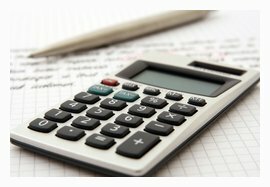 However, it is important to first look backward to understand how the year financially impacted your company. For many, this can be an ominous proposition, but it can easily be an opportunity to learn and make your company more efficient. The key is to keep things as simple as possible. 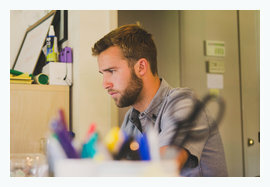 The Occupational Safety and Health Administration recently issued Recommended Practices for Anti-Retaliation Programs to help employers create workplaces in which workers feel comfortable voicing their concerns without fear of retaliation. 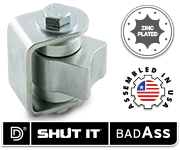 The recommendations are intended to apply to all public and private sector employers covered by the 22 whistleblower protection laws that OSHA enforces.